This page is designed to give a quick guide on some of the locations for photographing aircraft at different airports in Europe. As many aviation enthusiasts know, since the terrorist attacks in the USA in 2001, very many official viewing locations were closed down and some people look upon aircraft enthusiasts with suspicion. 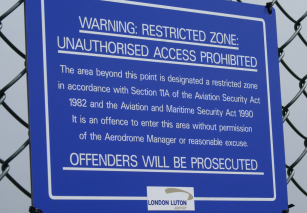 Photographing aircraft is not illegal, but there are places where it is allowed and those where it is forbidden, for example, BAA does not allow photography inside the airport. Always observe signs and notices, I recommend carrying some form of ID. Note that in large part, the locations listed are not official viewing areas and you are reminded to abide by all laws and common sense when it comes to visiting these places. I would always suggest keeping well back from fences, do not trespass on private land, and politely follow any requests or demands by those in authority. These pages are provided as guidance only and cannot be used as for anything more than general information purposes. You are fully responsible for your own actions and for abiding by any instructions given by any airport official. 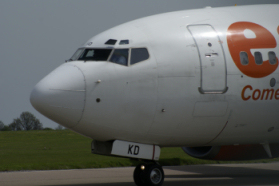 No part of the "tips and locations" section is approved or endorsed by any airport or authority.